You won’t find the word OLED in Sony’s latest press release, but that’s the tech Sony knows it needs to beat to win the high end of the market. On Tuesday, the company announced pricing and availability for the X850D and X930D/X940D 4K HDR Ultra HD LCD TVs it revealed at CES last month, including an 85-inch model that will fetch a cool $10,000. But in press demos last week, the company did a pretty good job of undermining the notion that OLED is the best technology for building consumer displays. Note that I said “consumer” displays. Sony builds a 30-inch OLED display for the motion-picture production market, but it’s based on a true RGB (red, green, blue) OLED panel. Consumer OLED displays are based on RGBW panels that have a white subpixel (red, green, blue, white). If you’ve been following OLED technology, you’re aware of how low yields are responsible for the high prices of OLED TVs. Sony says its 30-inch RGB OLED panels are so difficult to manufacture that it must throw away 30 panels for every two that are viable. As a result, its 30-inch OLED display costs $30,000. 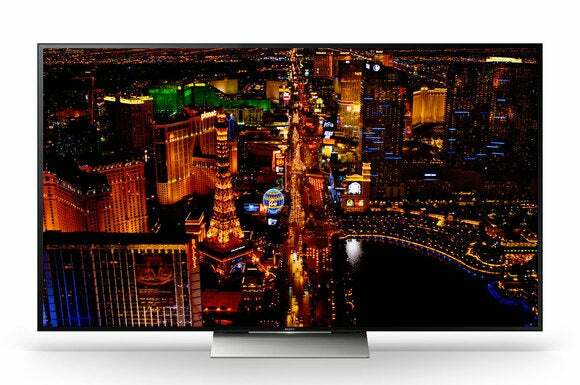 In last week’s demos, Sony repeated a demo first shown at CES, where it compared this RGB OLED panel to its best LCD TV, as well as LCD and OLED models from unnamed competitors. And to my eyes, Sony’s TV indeed came closest to matching the $30,000 RGB OLED, with extremely vibrant colors and inkwell black levels. Sony maintains that while an RGBW OLED can produce great black levels, its white subpixel compromises color fidelity, especially with red. “Add white to red and you get pink,” a spokesperson said. Sony says its new X930D and X940D series TVs use its X-tended Dynamic Range Pro backlighting algorithm to achieve contrast and black levels that rival OLED technology. Sony credits its X1 microprocessor and Triluminous dpslay for its LCD TV’s color fidelity across the board. 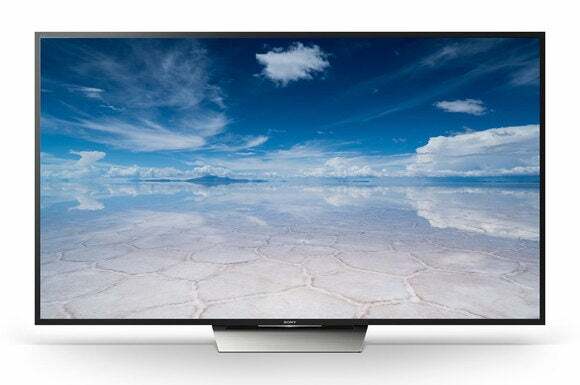 The company says its new X930D series TVs achieve an extremely thin profile thanks to the company’s new Slim Backlight Drive, which uses light channels to distribute light more evenly across the panel for excellent contrast. All of the new 4K HDR models in today’s announcement will carry Sony’s “4K HDR Ultra HD” logo and meet the Consumer Technology Association’s (CTA) HDR definition. Each of the new TVs will run Google’s Android TV operating system and will feature connected-home control from the TV’s user interface by tapping into Logitech’s Harmony Hub to operate smart devices such as lighting, motorized window shades, and thermostats. The X850D and X930D/X940D series TVs are available for pre-sale now and will be on store shelves and available for sale online in March. These models will also support Sony Ultra, the video-streaming app from Sony Pictures Home Entertainment that will be available later this year. As mentioned earlier, the top-of-the-line 85-inch XBR-85X850D will be priced at $10,000. The 55-inch XBR-55X850D costs $2500, the 65-inch XBR-65X850D will go for $3500, and the 75-inch XBR-75X850D will fetch $5000. Sony’s 55-inch XBR-55X930D will be priced at $3300, and its 65-inch XBR-65X930D will cost $5000. The 75-inch XBR-75X940D will cost $8000 (the same price as the LG 65-inch Signature-series OLED65G6P OLED TV advertised during the Super Bowl).